1. Use your existing plant life — just dress it up a bit. If you'd rather not shell out for a Christmas tree, take a look at the larger plants in your home. A fiddle leaf fig can easily play the part when dressed up in some twinkle lights and simple ornaments. 2. Create a "tree" collage. 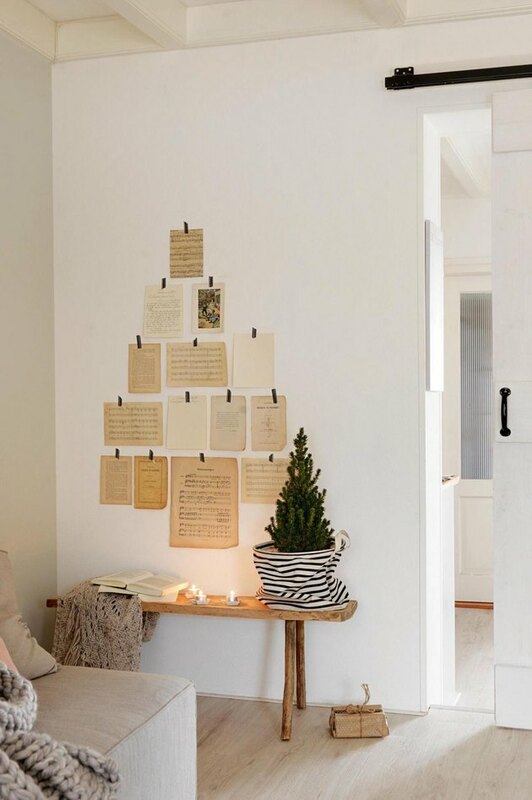 A meaningful and minimalist approach, this is as easy as taping up letters, cards, or pretty pieces of paper in a triangle shape to channel a unique Christmas tree-like concept. 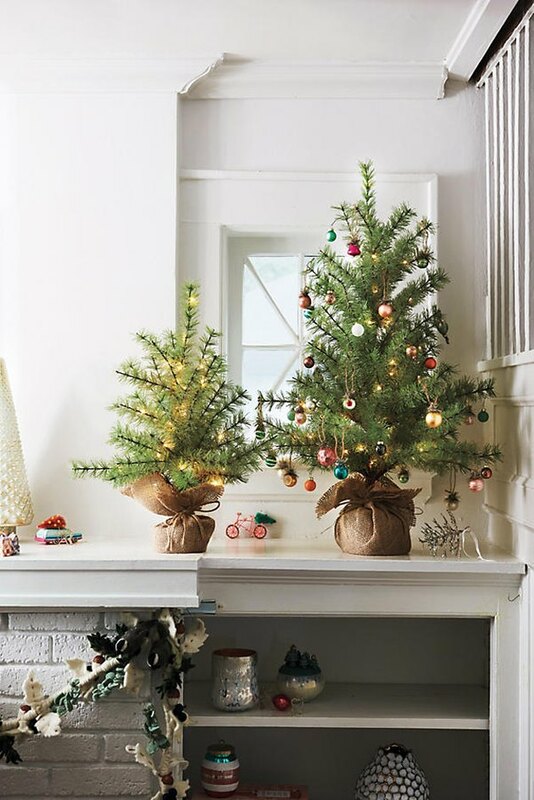 To make your corner actually feel holiday-ish, add some greenery or candlelight. 3. Grab a branch and pom-pom it up. Head outside and see if there are any small, spare branches around. Remove any excess leaves and then spray paint your branch white, silver, or gold. 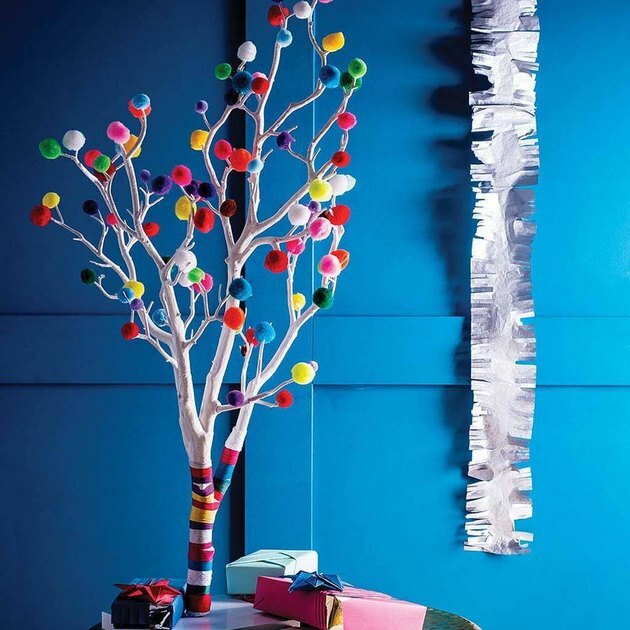 You can purchase a package of multi-color pom-poms for under $10 and then use a hot glue gun to attach the balls to the ends of branches. You could either throw the finished product in a corner or in an empty vase, or easily fashion a base with a piece of scrap wood. 4. Downsize with a miniature tree. There's no shame in going artificial, especially when it's done right. 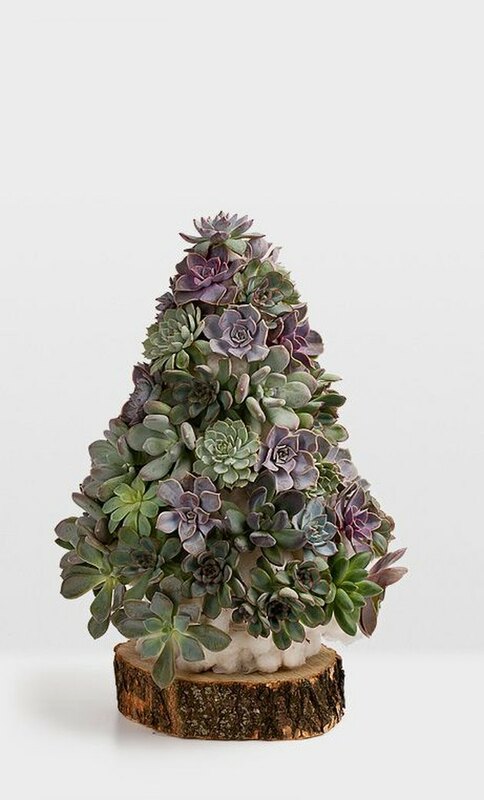 These mini-trees from Anthropologie ( $48-$68 ) come with lights already attached. 5. Jump on the pineapple trend. 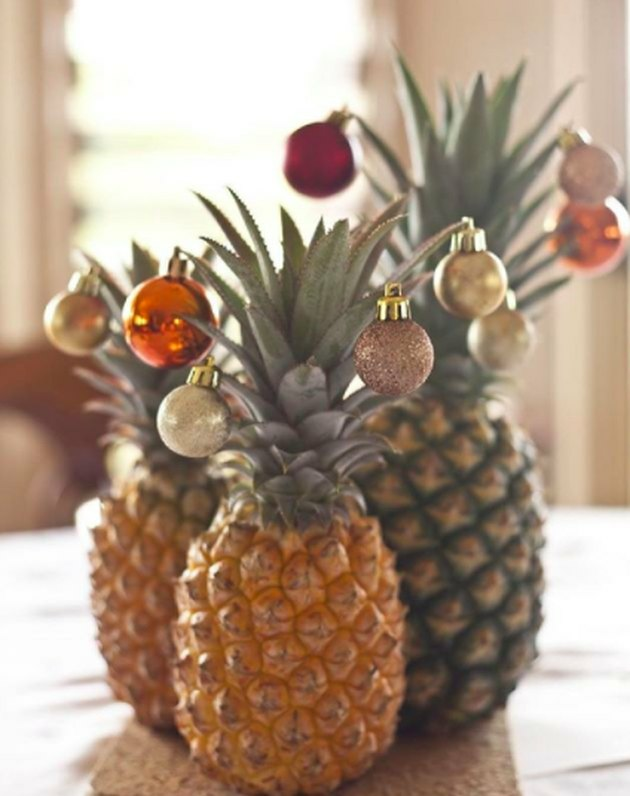 Yes, this is trending: People are using pineapples as miniature Christmas trees. 6. 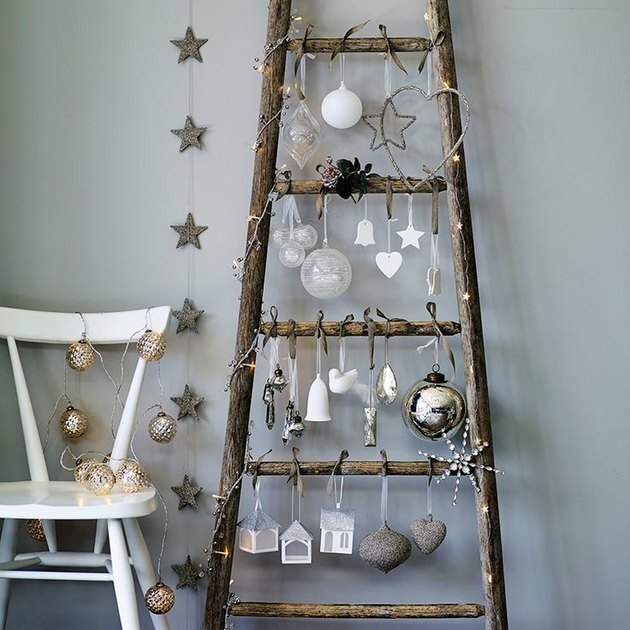 Create an ornament display with a ladder. You can still achieve the grandeur of a tree with a ladder that displays your ornament collection. 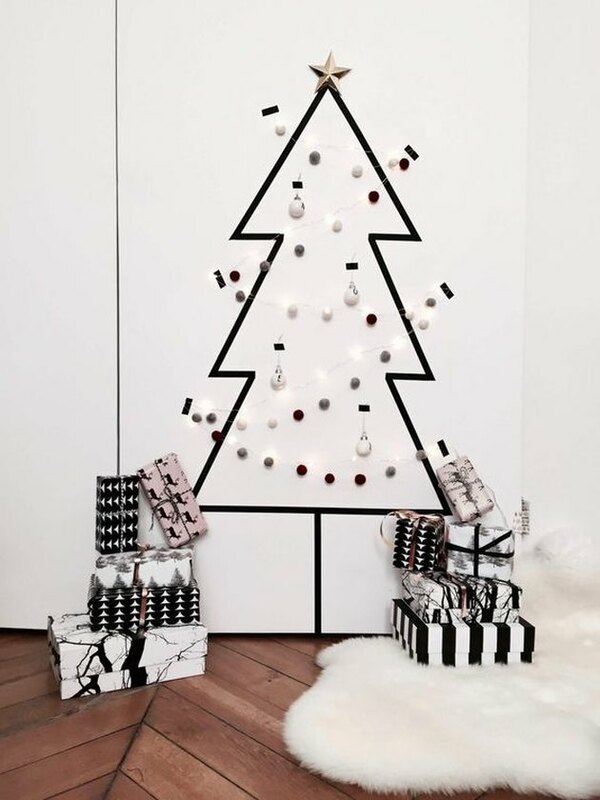 Place gifts at the bottom of this alternative Christmas tree, and voilà: Christmas miracle. 7. 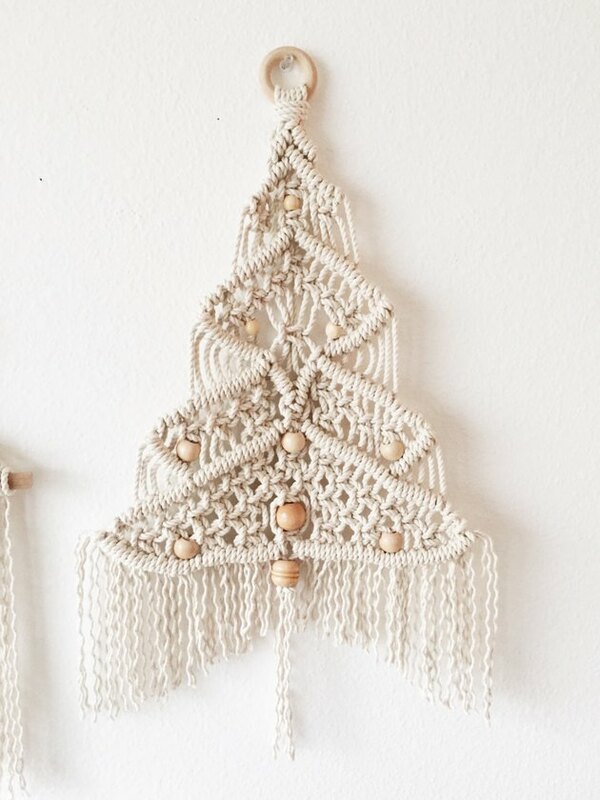 Hang a macrame "tree." It's the bohemian thing to do. 8. Use tree scraps to make a mini-arrangement. This is as easy as spending a few dollars at your local tree supplier, or better yet, getting a friend to give you their trimmings. 9. 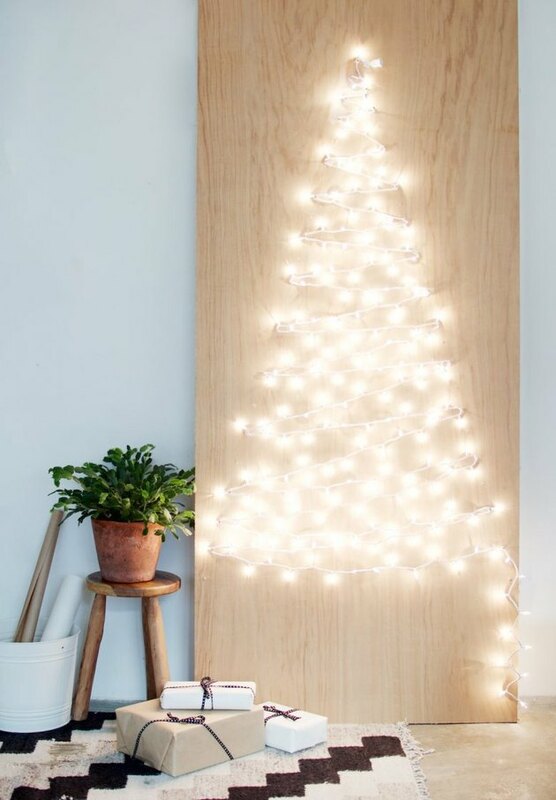 Make a "tree" out of lights. This DIY from A Pair & a Spare achieves the same warm and cozy glow that a tree would give you. 10. DIY a small wood dowel tree. 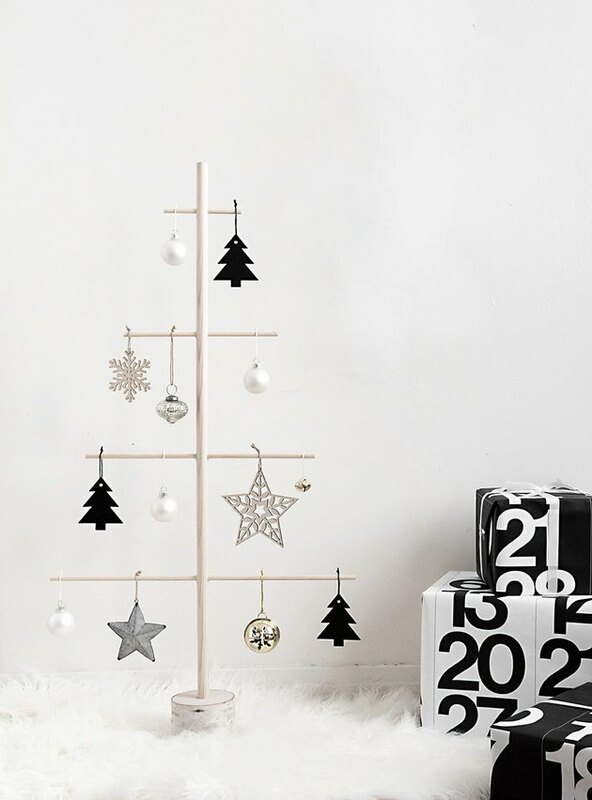 Homey Oh My's DIY wood dowel tree is the perfect solution for your studio apartment. 11. Style it up with some succulents. Who says a tree needs to be made of pine? Making a DIY mini succulent tree is actually quite simple. 12. Create a washi tape display. Washi tape is ridiculously handy. 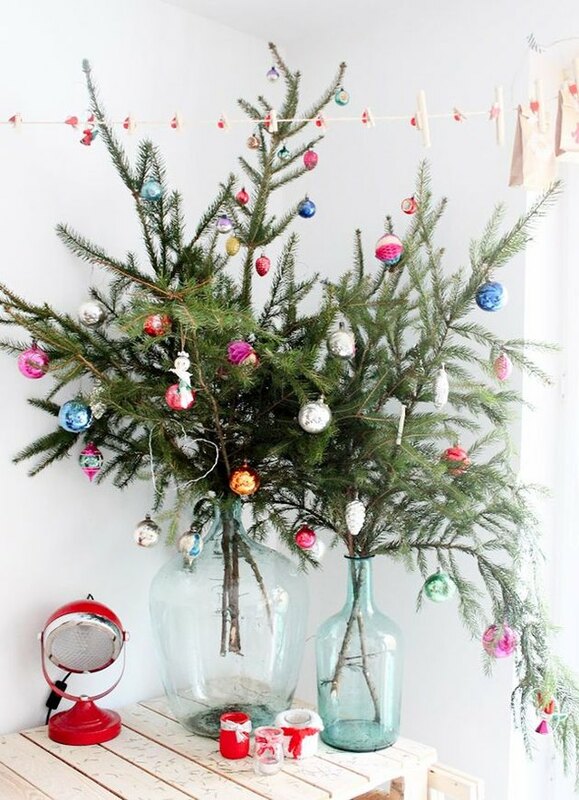 This idea could be particularly useful if you're Airbnb-ing for the holidays and looking for a temporary alternative Christmas tree solution. 13. 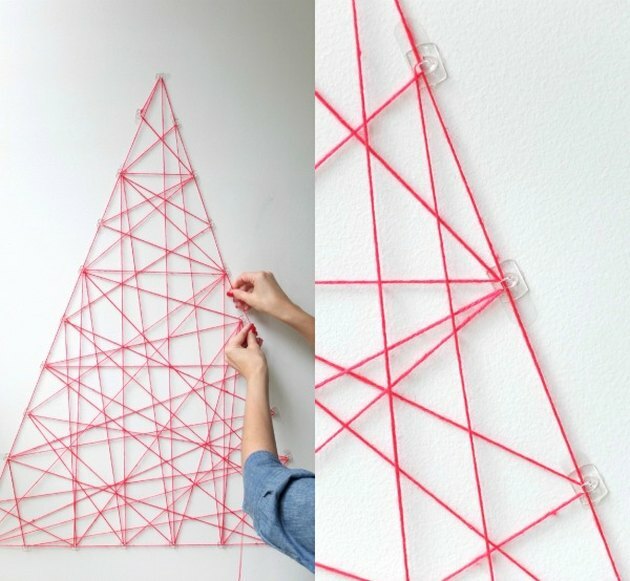 Make a geometric string display. My Poppet's modern string DIY emulates the shape of a tree and also allows you to display holiday cards and trinkets.